The Florida Lifestyle awaits you in the heart of Lakewood Ranch: the #2 TOP SELLING Master-Planned Community in the Country! 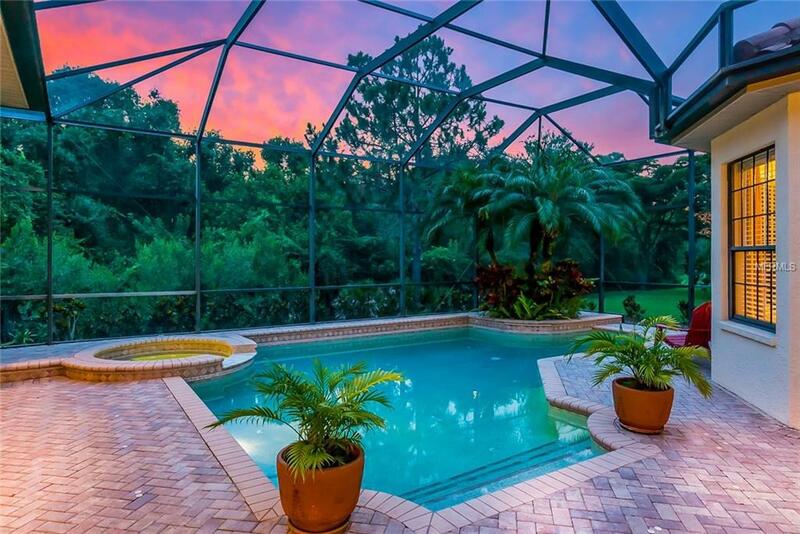 Enjoy TOTAL PRIVACY on a wooded preserve in this expansive Entertainer's Dream Home behind the gates of the exclusive Lakewood Ranch Country Club: offering two breathtaking clubhouses with fine & casual dining, and Optional Memberships including golf, tennis, fitness and social. This beautiful, custom home by Anchor Builders features: ONE STORY with 4,323 SqFt, 4 Bedrooms, 3 1/2 Baths, 3 Car Garage - and offers the perfect canvas for you to bring your own personal style. 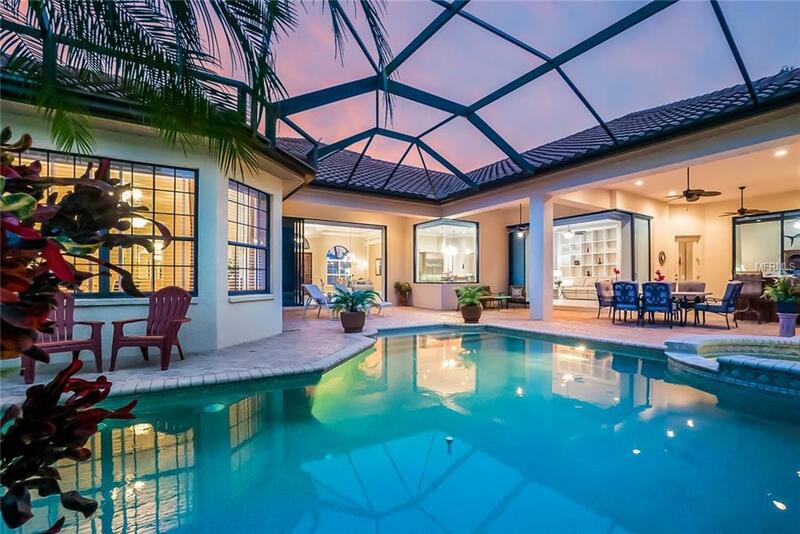 The open floor plan maximizes Florida living where almost every room offers picturesque views with multiple sliding glass & pocket doors leading to the outdoor kitchen & grill, covered entertaining spaces, heated pool & spa, and lush preserves. The MANY UPGRADES include: a private-gated driveway, oversized garages, impressive crown molding, tray ceilings, gas fireplace, plantation shutters, central vacuum, gourmet kitchen with chef-inspired gas range, granite counters, and stainless steel appliances. Every bedroom boasts ceiling fans and large walk-in closets. The spacious Owners Suite features a large sitting area with bay windows to pool & preserve, extra large walk-in closets, and a 3-way viewing mirror. The luxurious Master Bath features dual vanities with stunning granite counters, garden tub, private water closet, and a large walk-in shower. BE SURE TO VIEW THE TOUR for both the home and community, many extra photos and information. 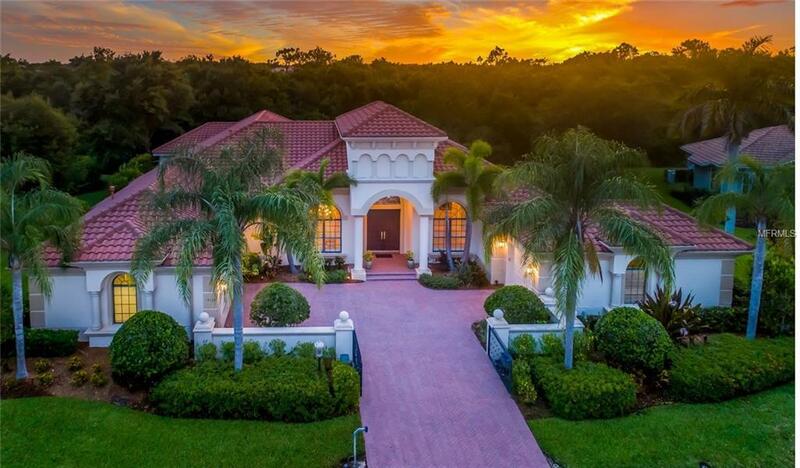 Lakewood Ranch is a master-planned suburb of Sarasota, offering convenience to: world class beaches; waterfront dining; UTC mall & boutique shopping; A-RATED SCHOOLS & ACADEMIES; Cultural & Performing Arts; and so much more! Whatever your lifestyle is - this Oasis In Paradise delivers. You deserve it NOW! Additional Lease Restrictions Confirm Minimum Lease Period With Hoa Rules. Pet Restrictions Confirm Number Of Pets Allowed With Hoa Rules.